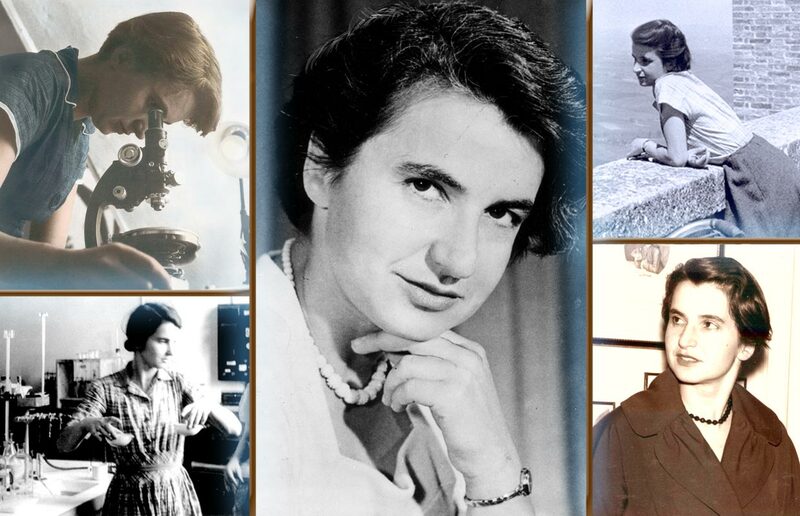 Rosalind Franklin | Take Back Halloween! 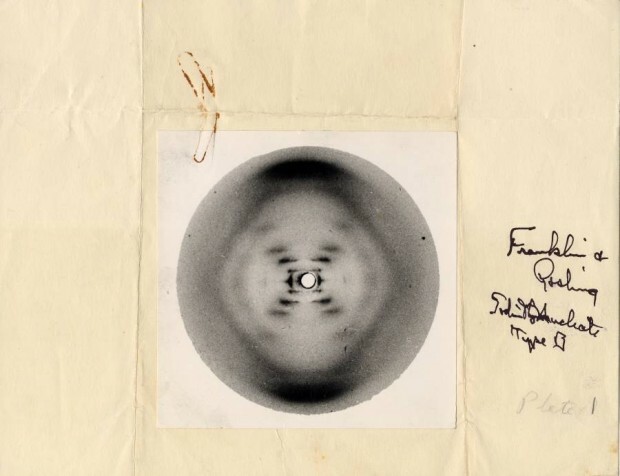 In May 1952, Rosalind Franklin (1920-1958) made a photograph. It wasn’t just any photograph: it was an X-ray diffraction image of the DNA molecule. Labeled “Photo 51,” it would prove to be the crucial piece of data in unraveling the double helix structure of DNA. Unfortunately, Franklin never got the credit she deserved. Her resentful male colleagues—who seemed to feel that women had no business being brilliant scientists—conspired to purloin her data behind her back. When James Watson and Francis Crick made their big announcement in 1953 unveiling the structure of DNA, they carefully omitted any mention of the fact that it was their unauthorized access to Franklin’s research that had given them the key. 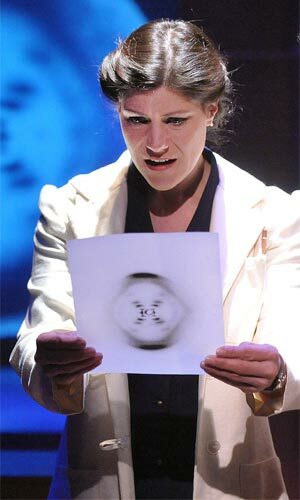 Elizabeth Rich as Rosalind Franklin in the Theatre J production of “Photograph 51” by Anne Ziegler. Costume design by Luciana Stecconi. Photo by Stan Barouh. Rosalind Franklin died of ovarian cancer in 1958, so she never learned that she’d been cheated of credit for her role in one of the greatest breakthroughs in science. After her death—and after Watson, Crick, and co-conspirator Maurice Wilkins had received Nobel Prizes for the discovery of DNA—James Watson went on to write a bestselling book in which he ridiculed Franklin as an unimaginative clod and a frump. He also spent the next 40 years bloviating about the inferiority of people who aren’t white males, leading to the inescapable conclusion that Mr. James Watson is not what you might call a reliable narrator. In fact his entire portrait of Rosalind Franklin was false. Since this is a costume project, we’re especially interested in the part about her being a frump. Now, there’s nothing wrong with being a frump. Most male scientists are pretty darn frumpy, and it’s absurd that a female scientist should be held to a different standard. But the irony is that Rosalind Franklin wasn’t a frump. She was actually very, very chic. She cared about clothes, and avidly followed the latest Paris fashions. Friends remembered her as always being beautifully turned out, wearing Dior’s “New Look” silhouette and well chosen accessories. Kristen Bush as Rosalind Franklin in the Ensemble Studio Theatre production of “Photograph 51” by Anna Ziegler. Costume design by Suzanne Chesney. 1. Lindy Bop ‘Ramona’ shawl-collar dress . 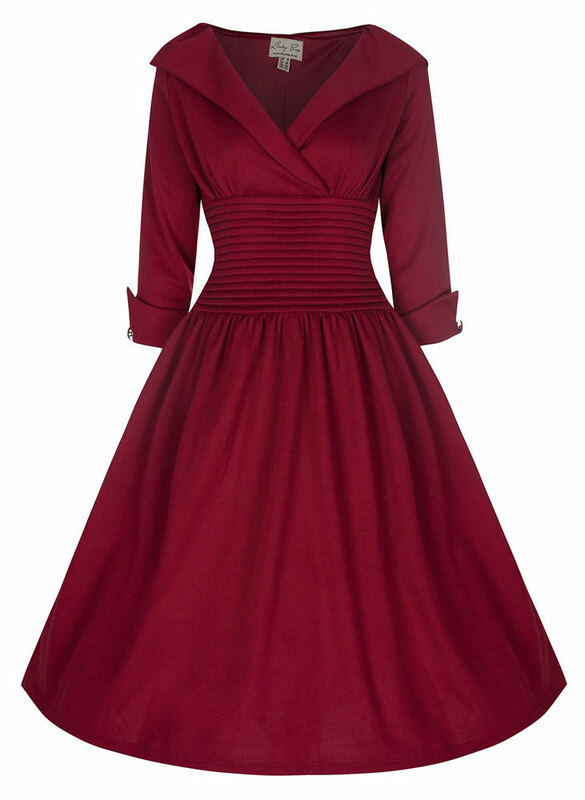 This retro dress is just the sort of sophisticated thing Rosalind would have worn. It even has that elegant shawl collar she liked. 2. 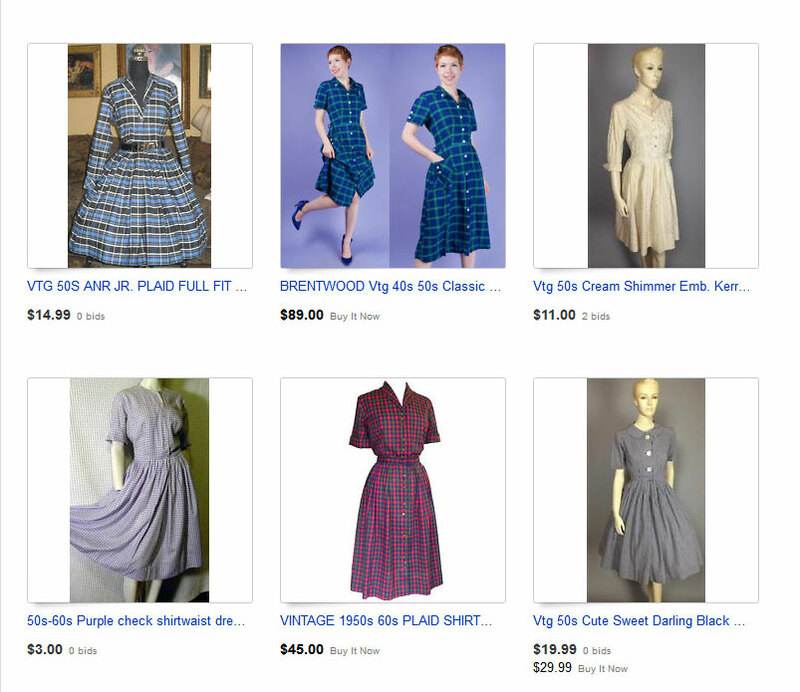 Alternative option: vintage 1950s shirtwaist . That link goes to a page of search results at eBay, which is probably your best bet if you’re hunting for a bargain. Another excellent place to look is Etsy. You could also just wear a skirt-and-blouse combo that’s conservative enough to pass for the 50s. 3. Lab coat . 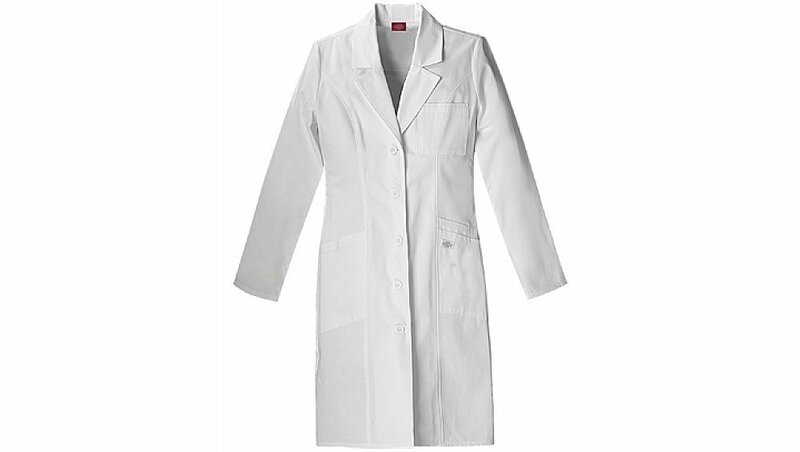 Fortunately, lab coats haven’t changed much in the past 60 years. A long modern coat like this will work fine. 4. Black suede stiletto heels . The quintessential 50s shoe. 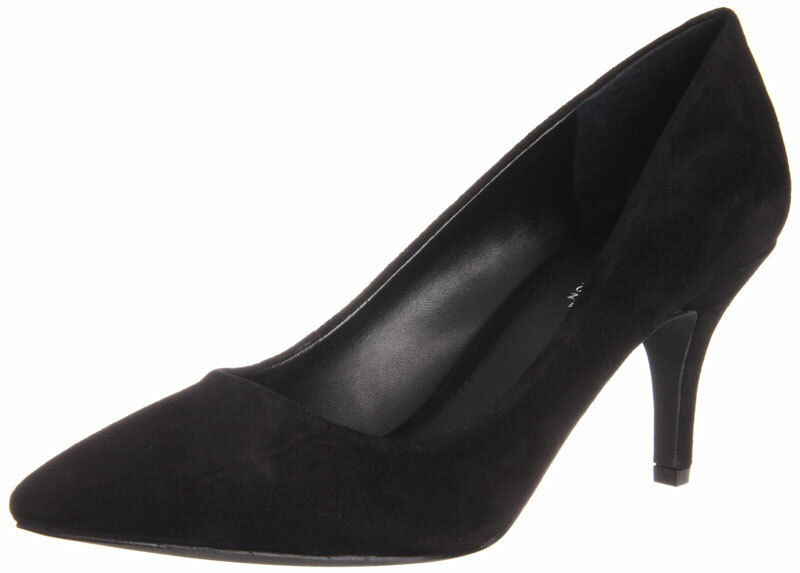 A similar pump with a slightly lower heel is the Goldie by Vince Camuto . 5. Jet bead necklace from 1928 Jewelry . Jet jewelry was popular in the 50s, and this 18-inch necklace looks a lot like the one Rosalind is wearing in several photographs. 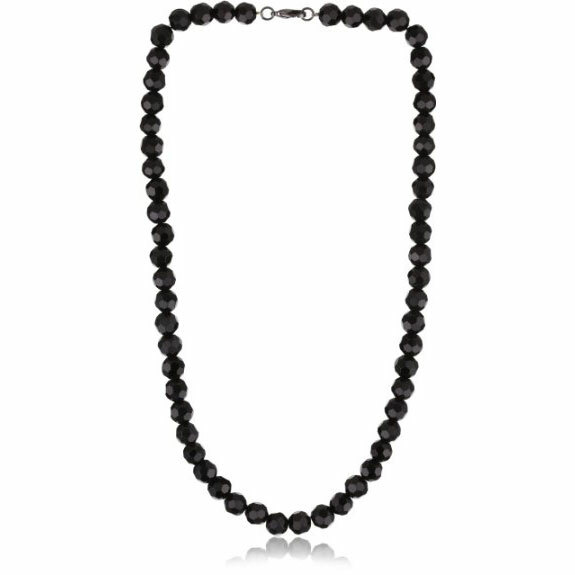 Graduated pearls or beads would also be a good choice. And furthermore: Rosalind Franklin was a brilliant scientist whose contribution to DNA research went far beyond just taking a great X-ray image. Within a few months of beginning work on the DNA molecule, she discovered that it had two forms, A and B. This was critical for deciphering the structure. She correctly argued that the sugar-phosphate backbone had to be on the outside with the bases pointing in, held together by hydrogen bonds. By the spring of 1953 she had identified the double helix structure, and made precise measurements of the diameter, separation, and pitch of the helices. All this was part of the model presented by James Watson and Francis Crick as their own work.